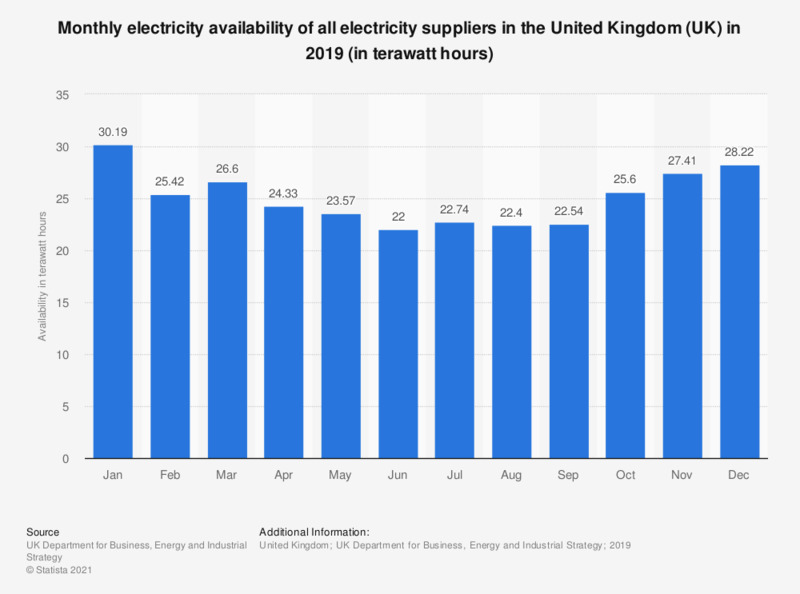 This statistic shows the monthly electricity availability of all electricity suppliers in the United Kingdom (UK) in 2018, in terawatt-hours. In January availability amounted to 33.25 terawatt-hours, decreasing in the following months. By December, availability stood at 30.22 terawatt-hours.